Plumerai are a quartet from Boston that play a brand of alt-rock/pop music that transcends those genre labels with well crafted art-rock influences. Reading the promo sheet and reviews on the band's web site I see references to The Cure, Radiohead, Portishead and Cocteau Twins, and while I'm not familiar enough with those bands to comment on the analogies, they probably do give a reference point. I also see references to shoegazer, a style I am familiar with. There are definitely shoegazer elements to Plumerai's music. The tag helps explain the spacier elements in the songs, though I'd say that overall the music is much richer and more detailed than most shoegazer bands I've heard. Among the highlight tracks is "Illuminata", which rocks out but also includes an orchestral backing. I really like the combination of standard rhythms and choppy pulsating guitar that pervades throughout the song. I love the spacey, surreal carnival motif on "Blues & Greens". Especially later in the song when the band go even deeper into space, accompanied by a bouncy accordion jingle that soon devolves into a demented meltdown at the end. Excellent song! "Avernal" is another standout, taking a basic accessible song and propelling it into the cosmos. And with its 7 minute length the band is able to stretch out and really develop the music. Plumerai really rock out, but even when the guitars are bashing and the drums flailing, there are other bits and pieces that accentuate the color and character of the music. More accordion, shifting chordal patterns and more. A nice combination of song and structured jamming. "Lavinia" is the other lengthier track of the set and again takes a basic song and does a great job of making it into a virtual construction job. Elizabeth Ezell's vocals don't dominate the music like most pop singers do. Instead, she functions in tandem with the music, particularly the simple yet entrancing and ever shifting guitar melodies. And once again Plumerai soar into deep space and get ultra freaky, while always retaining the core song. "Iris" would be a great candidate for radio play. "Sin El Lagarto" is a little different, being a high energy, frantic paced sort of avant-gypsy song. Very cool. 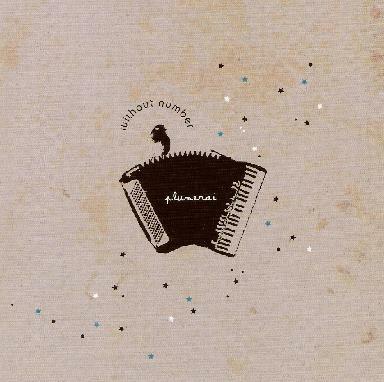 And with "En Vole" I'm now really diggin' the way Plumerai incorporate the accordion into their music. It gives the song a traditional feel, yet all this alternately dreamy and intense spaced out rock is going on around it. Yeah, this is my idea of pop music. For more information you can visit the Plumerai web site at: http://www.plumerai.com. Hear music at the Plumerai Myspace page at: http://www.myspace.com/plumerai.